I am a huge fan of Solange's style. I like that she has fun and takes risks. She looks radiant here, I must say she's becoming a style icon in her own right. Tavia is another fabulous mom and wife with an awesome blog. A visit to her blog, will introduce you to a woman with style who enjoys and have fun with fashion. She also have a great eye for vintage, a woman after my own heart. 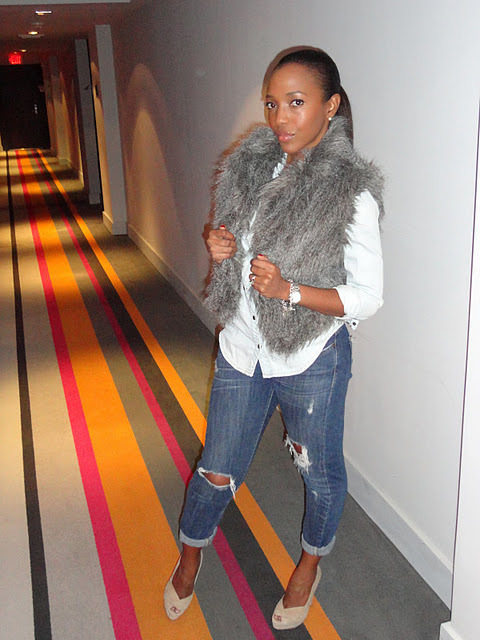 It's my pleasure to introduce you to Tavia and her fab blog Nine To Fly. So tell us more about yourself, who is Tavia? I a lover of God first and foremost. I am a simple person, a mother of 2 talented boys, ages 13 and 10, and a wife a caring and good man. I am a good friend to those who I am honored to call friend. I am really a private person by nature but this blog thing has me stepping out of that comfort zone…baby steps though. As far as fashion, I am like the next fashionista, I truly enjoy a good pump or wedge and a well fitting pair of jeans. Where I differ from most fashion lovers is I don’t eat, sleep and breathe fashion. I'm not saying that is a bad thing...it just isn't me. All in all, I love to look nice and present myself well. How did you get your start in blogging, tell us a little bit about your blog. 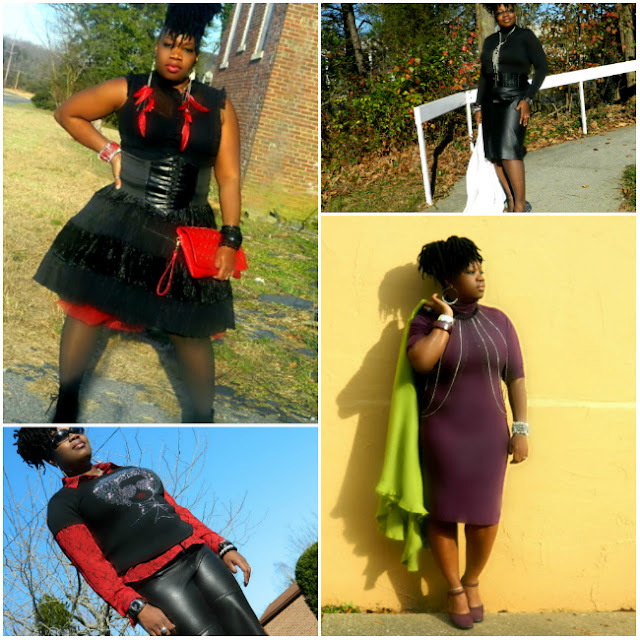 I got my start when I did a search last year on plus size fashion after feeling like I needed a boost in my wardrobe. My search came up with plenty of personal style fashion bloggers of whom I stalked for several months. Then one day the blogging bug bite me. 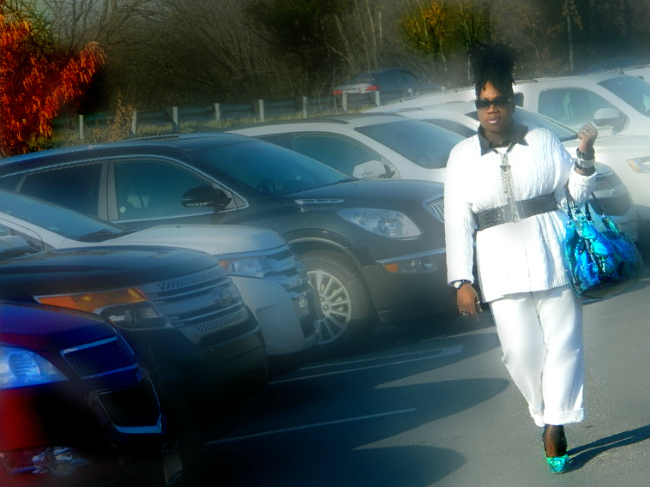 I reached out to the fabulous Full-Figured Diva, Myeshia for some pointers and advice. She is a sweetie and was very encouraging. The next week or two at the end of October, Nine to Fly was born. 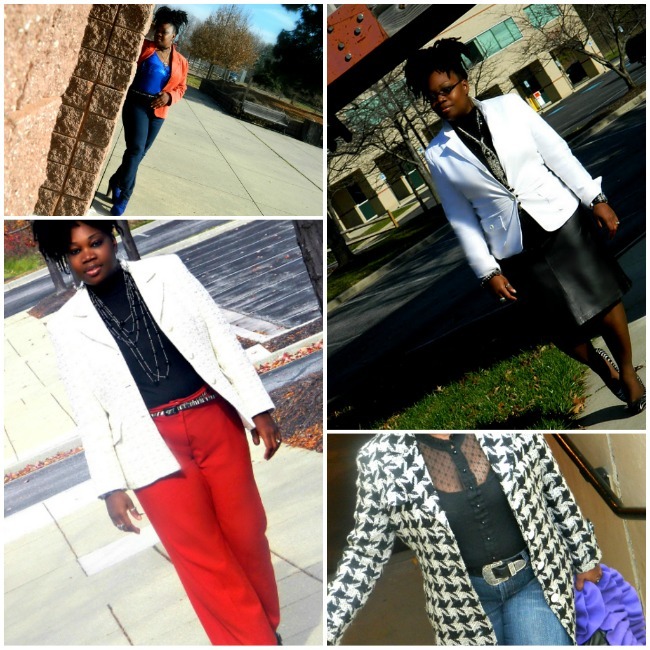 My blog is all about what I wear to the office, church, or on a night out on the town. Being a frugal and curvy woman, my goal is to fashionably inspire others like myself while infusing my everyday shenanigans of being a wife, a mother and just a pure goofball. I would say that my style is classic chic. Every now and then I may wear something a little edgier or trendier but for the most part I love the classic look with timeless pieces. Although, I love a good trend such as my favorite animal prints, I try not to be too literal with it. My style inspiration comes from anywhere from the Celeb world, my fellow fashion bloggers, even down to folks around me with my mom being the biggest one. My mom, who was a single parent taught me early in life that although we didn’t have much money we didn't have to look like it. She introduced the thrift store to me when I was high school. Of course at that time, I didn’t appreciate it then like I do now. My family and I now do OK for ourselves but thrifting is still something I LOVE to do. I get inspired by going up and down the aisles of the Value Village or Salvation Army. You can find the most unique pieces when you have a rendezvous at the thrift store. Wow this is a hard question to answer because this changes frequently. As of now, I would say my houndstooth jacket, my orange blazer (I have been killin’ that thing this season) and my $5 genuine leather pants that I scored thrifting a few months ago. 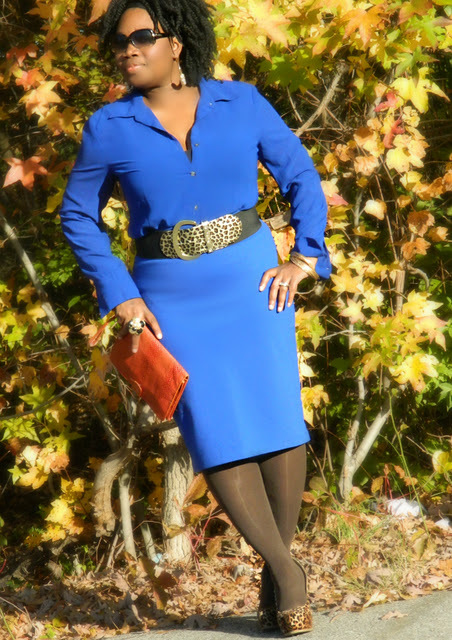 Be sure to visit Tavia's Blog HERE. There is no doubt about it, Jillian has "It Girl" style. An Attorney by trade, Jillian is the kind of woman I looked up to as a young girl - smart, accomplished and stylish. 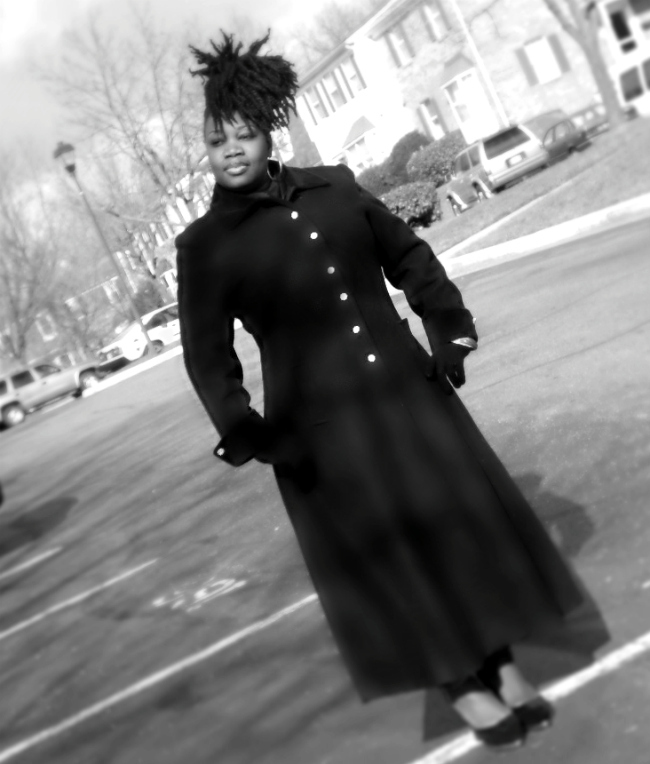 I always admired a woman who could hold it down academically and professionally while simultaneously look fly! It is my pleasure to introduce Jillian and her awesome blog NuSophisticate. I love your style Jillian, and I'm sure you ladies will too. So tell us more about yourself, who is Jillian? I'm an attorney by trade but I have a million other passions. I love shopping, cooking, watching Law & Order (I'm obsessed), decorating, and spending time with my brand new husband :). Nusophisticate started as a cool way to keep track of my outfits and to force myself to get dressed up. With work and planning my wedding, I found myself getting stuck in a fashion rut and thought starting a blog would help with that. My blog is truly a PERSONAL style blog. I'm definitely not into following trends, I just wear what I love. What are three must-haves that a woman needs in her closet? A great pair of jeans, little black dress, and a killer pair of heels. Being fashionable doesn't have anything to do with height or weight, it has everything to do with confidence. My blog can be found at www.nusophisticate.com - stop by anytime to chit-chat and if you like what you see please join my blog. Be sure to visit and subscribe to Jillian's lovely BLOG! AJak Deng: "We can turn the impossible into possible"
What a great reminder to never put limits on yourself. My fabulous friend Sasha submitted this picture of her New year glam look. The lovely dress she's wearing is from Lulus.com. Sasha, as always you look fierce!!!!! Happy New Year Everyone!!! I hope this year is a wonderful and prosperous year for you!!! 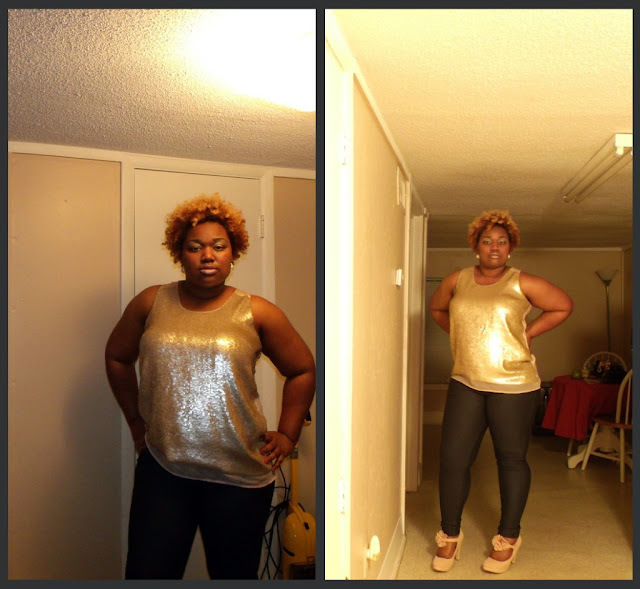 One of BFB's reader's submitted a Fab New Years look. You look great Kelly, way to bring in the New Year in style. 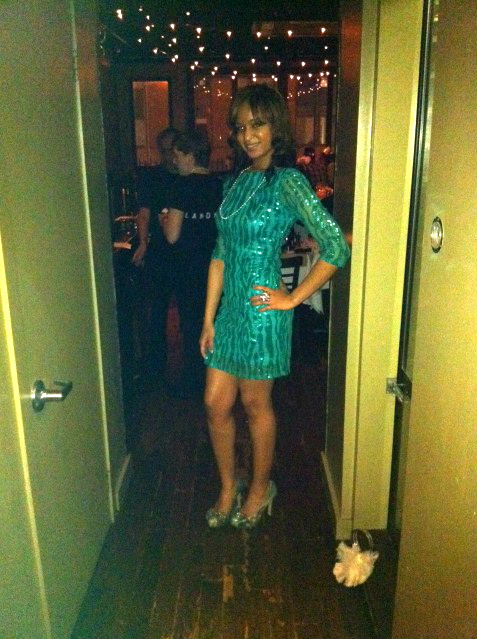 Holiday Glam: Kelly of http://kellymonroe.blogspot.com New Years 2012!